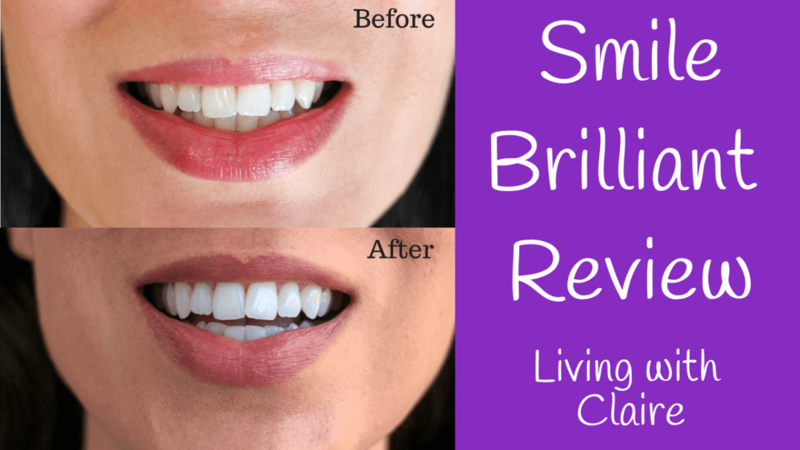 This week I’m doing a review of the Smile Brilliant at home Teeth Whitening system. They sent me a free trial of their product to check out and review. I’ll admit that I was originally hesitant because if you’re like me, tooth sensitivity is the one thing I absolutely dread when whitening my teeth. I’ve had some whitening procedures in the past, including lasers at the dentist office, but it was either ineffective or my teeth were so sensitive it hurt to eat and drink for days….good for the diet but nobody wants to be in pain for days with sensitive teeth. 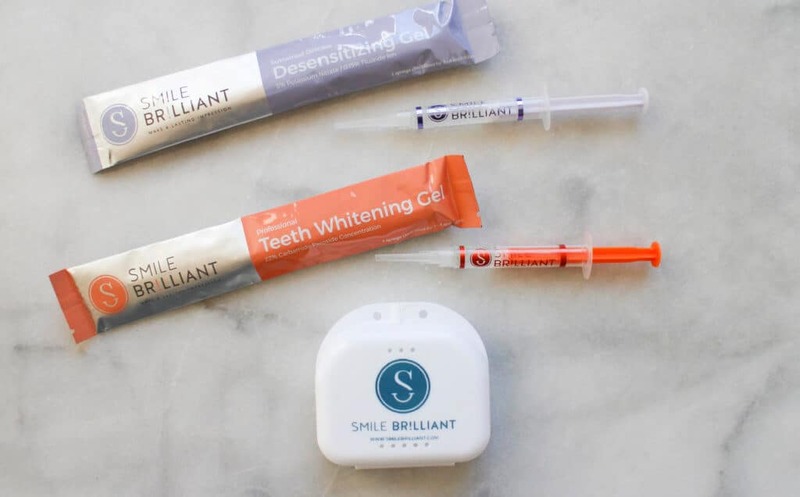 Fortunately, Smile Brilliant has it all figured out, each kit comes complete with a proprietary whitening agent and a very effective desensitizing gel for post whitening sensitivity. At first I was worried that I would not be able to fit the whitening into my busy schedule. Smile Brilliant recommends whitening before you go to bed, but if you go out a lot in the evenings like I do, that won’t really work. Adding an extra 1 hour + of whitening to my already extensive pre-bedtime ritual would probably result in me waking up the next morning with the trays still in my mouth. I found that I had great results by doing it in the afternoon. I followed the directions and made sure that I had 3-4 hours before my next meal before I started the process, because you don’t want to eat directly after applying the desensitizing gel. The whitening process only took about 12-15 sessions to get the desired whiteness. But to be honest it probably would have gone a lot faster if I didn’t drink coffee everyday or the occasional glass of red wine. I did learn a couple of tricks along the way that you might find useful. One simple trick is to simply swish a little water in your mouth after drinking things that can stain your teeth. You can also stagger your whitening across several days. 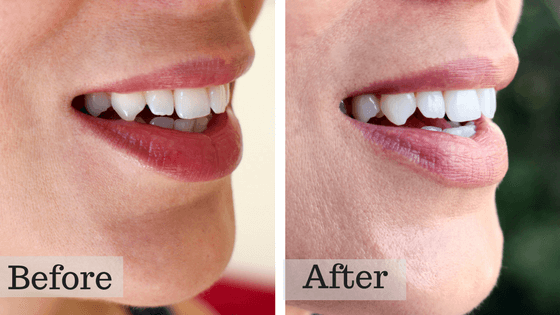 While it would definitely speed the process to whiten everyday, I found my teeth and schedule were too sensitive or hectic to do this comfortably. So I averaged every other day and the results were still fantastic. While I did go through the entire proscribed process to make a complete evaluation, I will say that people seemed to notice a change in my teeth after the first few applications. I was a bit surprised by that and no it wasn’t at my prompting to check out my teeth. They just randomly remarked on the whiteness of my teeth …so much so that now my husband wants to try it so he can have “movie star” teeth too (his words not mine, ha ha ha). 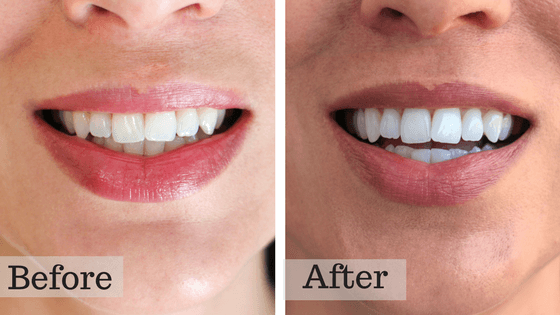 If you’ve ever hesitated to try out at home teeth whitening because you were concerned about the time, sensitivity or effectiveness, I completely understand. My experience with Smile Brilliant was flawless and I would highly recommended it, and I have recommended it to my friends and family! While I don’t think I was an extreme case, my teeth were pretty white to start off with, the change was noticeable very early in the process. This leads me to believe that the results, even for someone with less than white teeth…. red wine, coffee and soda drinkers I’m looking at you … will be well worth the effort. 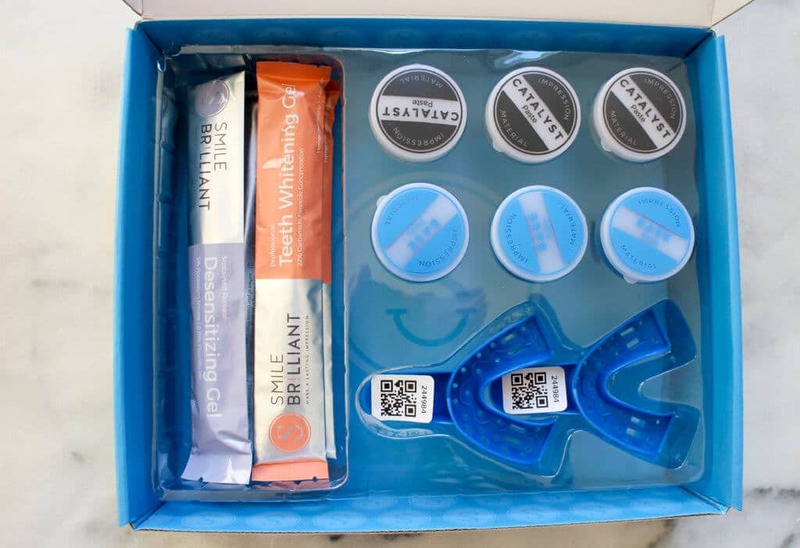 If you’re ready to order your own Smile Brilliant whitening system, you can get $20 off any tray set with the discount code: livingwithclaire20. Just go to the Smile Brilliant website [http://www.smilebrilliant.com#livingwithclaire]. Hi Missy! So glad you like the review. I had great results and I hope you do too!